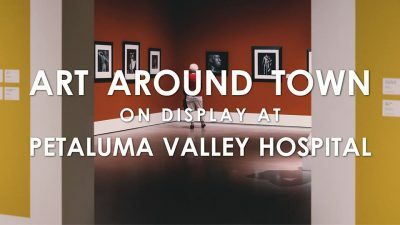 The Art Around Town committee is happy to present a call for art for the upcoming exhibition at Petaluma Valley Hospital. You are invited to submit up to 5 images of YOUR artwork. Space is limited; art will be accepted on a first-come, first-accepted basis. Works must be appropriate for a hospital venue. Please, no nudes or violent images. Keep in mind that we are encouraging healing in our community. Participants of the Art Around Town exhibition are strongly encouraged to become members of the Petaluma Arts Center. Member benefits include free entry to exhibitions, exhibition postcards, discounts on classes, facility rentals, discounted admission to events, participation in the Members exhibitions, listing in the artists and art related businesses online directory and helps support our programming and mission for our community. Entries submitted by: Monday, November 27, 2017 (by midnight).